Grease and dust deposit in the cooker hood filters. It is recommended cleaning the hood at least once a month, and if it is fitted with aluminum filters will, your work will be much easier. 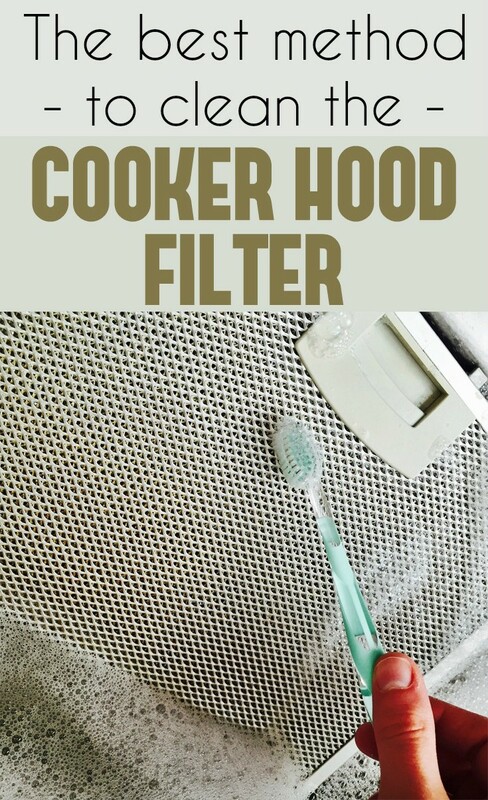 Metal filters hoods are the most resistant and easier to clean. Check them regularly to see if the filter is filled with dirt, because on the surface they may look clean. The more dirty they are, their filtering capacity decreases, causing the odors and the steam laden with fat particles to remain in the kitchen. Here’s how to clean the filters quickly and with minimum effort. You only need one simple and inexpensive ingredient that you already have in the kitchen. – Take high and wide pot to fit the filter, fill it with water and put it to boil over low heat. – Gradually add half a cup of baking powder, using a spoon, because it will begin to boil and will immediately create foam. – Put the metal filter into the pot and let it simmer; you will see how grease and dirt will begin to melt and will accumulate on the surface. – If necessary, change the water, add baking soda and put the filter to boil again until all the dirt is dissolved. – Remove the filter from the hot water using protective gloves and use a soft brush to clean the metal mesh of the last traces of dirt, then rinse with hot water. Don’t throw the dirty water in the sink because you risk clogging the drain pipe!